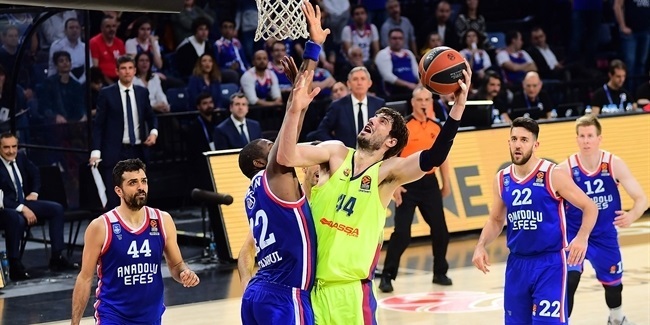 Traditional powerhouse FC Barcelona Lassa has its sights firmly set on returning to the upper echelons of the Turkish Airlines EuroLeague after a couple of disappointing seasons. The Spanish giant, which is one of the biggest and best-known sports clubs in the world, is known for adding a touch of glamour and excitement to every game. Barcelona will surely feature in some memorable battles in the coming campaign. Here are a few of the big dates. Any meeting between FC Barcelona and FC Bayern Munich will be loaded with an air of prestige, but their Round 3 battle in Spain carries extra significance because it will present a unique family battle as Barca coach Svetislav Pesic goes up against his son Marko, the general manager at Bayern. It won’t be the first time they’ve met at the EuroLeague level: in the 2002-03 regular season, Pesic senior was in his first stint as Barca coach and led his team to a pair of victories over an ALBA Berlin side featuring his son at shooting guard. But they have never gone head to head before in their current roles, so this early-season showdown will definitely be one to watch. There will be another reunion of a very different nature when Barcelona travels to Athens to face Panathinaikos and former coach Xavi Pascual in Round 8. The Spanish side has not yet really recovered from the departure of their former time coach, failing to reach the playoffs since he left the club in 2016 after making at least that stage in each of Pascual's nine seasons in charge. And the reunion theme will continue for new Barca signing Chris Singleton, who will be taking on his old team for the first time. By Round 8 we should be getting a better idea of whether Barca is ready to mount a stronger challenge this time around and a road victory over Pascual and his dangerous Panathinaikos team would be a real statement of intent. Barcelona boasts a 16-8 overall head to head advantage over Fenerbahce this century, but that split is far less dominant than used to be the case after the Turkish champion won each of their last five meetings – a sequence dating back to December 2014. 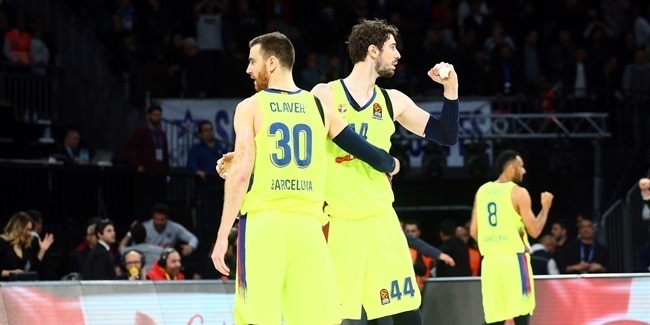 By a quirk of the schedule, Barcelona will have played six of its first nine games on the road by the time Zeljko Obradovic and his men roll into town in Round 10, so there could well be a fair amount of "scoreboard pressure" on Coach Pesic's men to reverse the club's run of losses to Fenerbahce. The key phase of the season for Barcelona could well come in a brutal run of games early in the New Year, with the team scheduled to face six of last season’s playoffs teams in the space of seven rounds. The middle of that sequence presents a home game against CSKA Moscow in Round 20, by which time the playoff picture should be starting to take shape. Seven of the last eight games between the teams have been won by the home side – and considering what lies immediately ahead, Barcelona could well need that sequence to continue in January. Round 24: Clasico crunch clash? Barcelona’s potentially punishing sequence of games comes to a conclusion in Round 24 with a battle against none other than perennial rival and reigning champion Real Madrid. 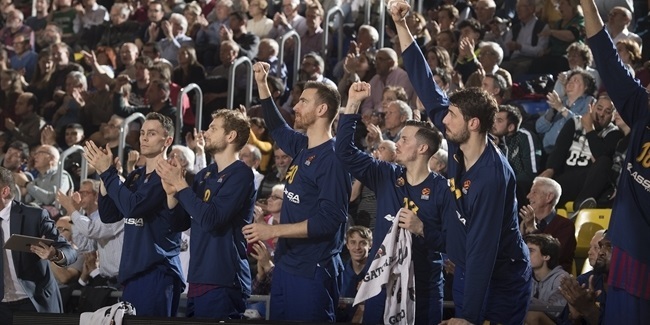 The home meeting against Los Blancos comes on the back of games against CSKA, Olympiacos Piraeus, Zalgiris Kaunas and KIROLBET Baskonia Vitoria Gasteiz, so by that stage, Barcelona could either be punch-drunk from a bunch of losses or flying high in confidence after securing some serious scalps. Either way, El Clasico is always a special encounter and this one, coming at such an advanced phase of the regular season, could prove even more memorable than most.